THE ZUCKERBERG FACTOR ON THE REAL ESTATE SECTOR. 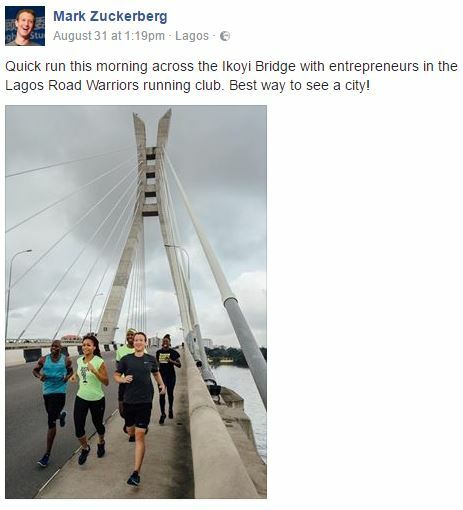 It is no longer news that the founder of Facebook, Mark Zuckerberg was in Nigeria and visited Lagos and Abuja. Mark has a vision to connect individuals around the world through technological innovation and has successfully done so with Facebook. His Nigerian trip was focused on entrepreneurship and technology, with technology enthusiasts, tech entrepreneurs, network coders and fans all excited about the opportunities this opens up in projecting Nigeria to the world as an emerging hub for technological ideas and advancement. Title Registry and planning approvals: A secure web based registration system would help expedite and make title registration more efficient. This will also impact the security of title and aid research, which has long term impact on real estate growth. Using technology to fast track planning approvals would also be an advantage. Having these online, will provide a trail of data which could become valuable real estate intelligence for future economic planning. Access to and Improved Real Estate Services: Using technology, real estate firms like Fine and Country could improve customer experience by giving access at the click of a button to 3D live viewings, interactive communication irrespective of the client’s location, access to comparable information, and automated progress on property developments to aid intelligent decision making and save time. Technology comes with endless opportunities for improving returns in the real estate sector and we believe there’s no time like the present to explore some of the low hanging options for innovation. At Fine and Country we believe “Impossible is nothing… the word itself says “I AM- POSSIBLE” according to Audrey Hepburn.